Best Video Film & Cultural Center’s Oscar-oriented film series continues on Monday, Feb. 29 with a screening of “Sicario,” rescheduled from Feb. 8 due to snow. 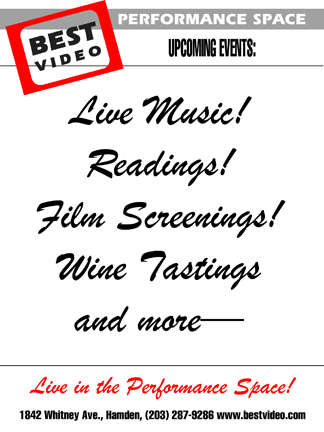 Each screening starts at 7 PM and admission is $7. 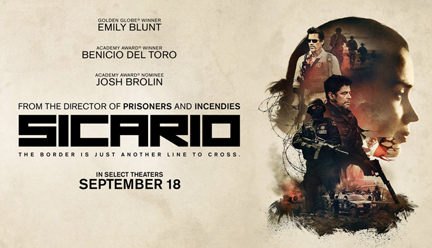 “Sicario” is a drug war crime thriller starring Emily Blunt and Benicio del Toro, directed by Denis Villeneuve. Mr. Villeneuve, aided by Taylor Sheridan’s lean script, Roger Deakins’s parched cinematography and Johann Johannsson’s slow-moving heart attack of a score, respects the imperatives of genre while trying to avoid the usual clichés. It’s not easy, and he doesn’t entirely succeed. But he’s also trying to scramble some of the usual codes, and to paint a morally complicated picture instead of restaging a morality play. “Sicario” has earned three Oscar nominations: Best Original Score, Cinematography and Sound Editing.